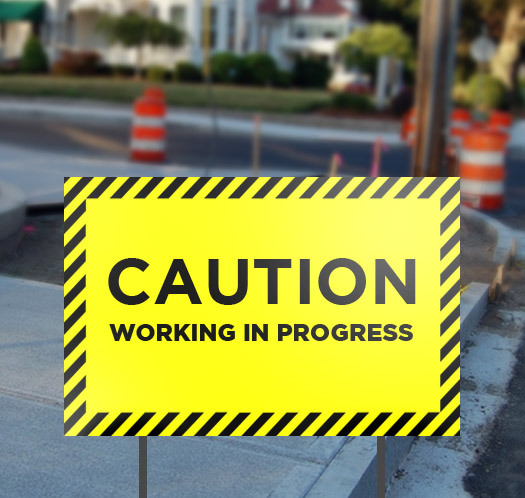 Our yard signs are printed on a sturdy 6mm Coroplast to ensure durability. Choose between just the printed signs or order your signs complete with stands. All signs are printed in our large format department on the best inkjet printers, producing rich and vibrant colors. 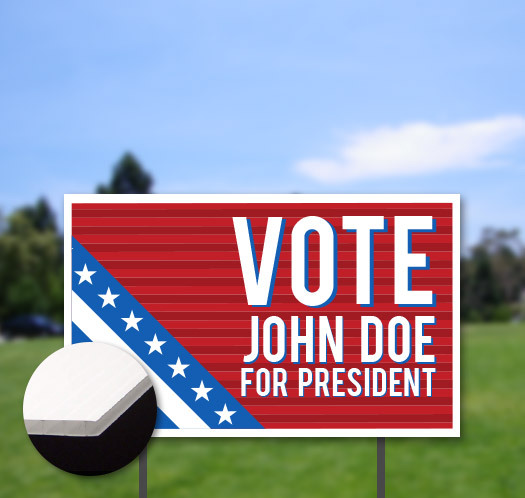 This is an ideal promotional product for real estate, elections, events, and virtually anything. When it comes to bang for your buck, yard sign printing is definitely the way to go. 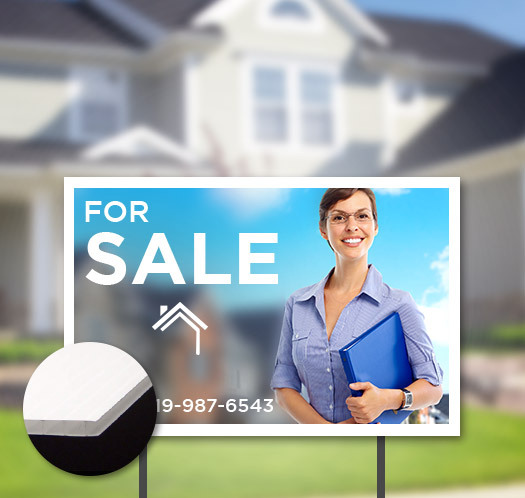 We offer affordable and customizable yard signs that will be sure to give you the edge you've been looking for. Our coroplast is thick, sturdy, and will ensure that your sign has a quality look and feel to it. Our yard signs are waterproof and long lasting, and meant for the outdoors. Rain or shine these things will hold up well against the elements. Setting up our printed yard signs is remarkably easy. Be sure to include spikes with your stand so that you can take care of set-up all in one go. Not only are our yard signs easy to print, set-up, and maintain, they're cheap too! What more could you want from a product?! Not all projects are created equal. For a one-of-a-kind book made just for you, speak with one of our product specialists.